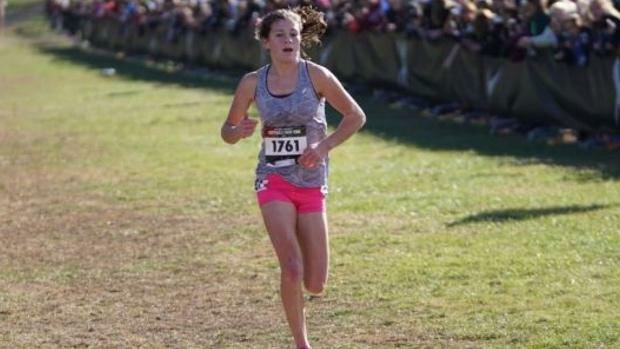 New York is stock full of great distance runners and phenomenal teams, but one athlete to watch out for this fall is Tully High School sophomore Brooke Rauber, who finished sixth at Nike Cross Nationals as a freshman in 2017. She's won the last two Class D cross country championships in New York, was second at NXR New York a year ago and owns a personal best time of 17:47.00 at the 5K distance. 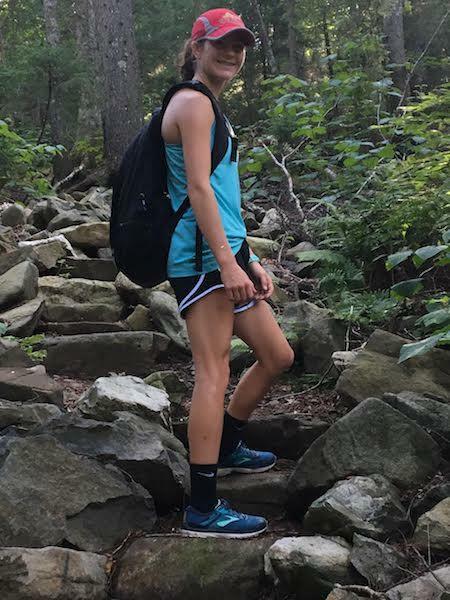 Rauber is quickly forming a national profile, but in the meantime check out her weekly training as she prepares for the beginning of the season. We spent the week in Greenville, Maine, with some of our very good friends, and their three triplet boys. It was absolutely beautiful. My family spent the week kayaking, hiking, fishing, swimming and just playing around. I ran seven miles on the dirt roads around our camp. It was an easy pace. It was pretty hot and humid, so it was hard to breathe. I ran on a nice, flat road just to get a run in. I like to take Sunday's off, but we are going on a long hike this week, so I needed to make sure I got my miles in. There is no way my legs will feel like running after hiking up a mountain. "I did the 6x 2-minute tempos in my run. After this, my dad and I went fishing and caught lots (50+ white perch) of fish we named Dave." Monday, August 13th: 7.5 mile hike up and down Eagle Rock Mountain, Kinda off-day! The triplets were all excited and pumped up, and I'm like 'How can people be excited to climb a mountain at 6 in the morning?' The only thing that kept me going were the "monkey tacos" at the top. They were soft tortillas with Nutella and peanut butter topped with pieces of cut up banana. Man they were good. I thought running hurts your legs... NOPE. After we finished I kept thinking, "Go hiking they say, it will be fun they say." I did a hilly 8 miler for the distance run of the week. It was super hilly, so I wasn't going a very fast pace. It was chilly because I procrastinated all day. My mom biked next to me, so that I wouldn't be alone. No joke, somehow it was all uphill out and all uphill back. If I fell down, I wouldn't have gotten up for years. We got up at 4:45 a.m. to go moose seeing, so yeah I basically never see that time of day. We did see three (moose, meese? ), so that was pretty cool. I did end up running a little workout thing, but it was a perfect temperature so it wasn't that bad. I did the 6x 2-minute tempos in my run. After this, my dad and I went fishing and caught lots (50+ white perch) of fish we named Dave. I pulled in a 16-inch smallmouth bass after we came in and, my dad almost fell off the dock when he saw the fish. Now that would have been funny! I ran five miles to get my legs feeling good because they were pretty tired. It was hot and humid. I ran about 7:30 pace the whole way with my dad. I did 4x 200 meters at rep pace at the end to have a change of turnover. I later found out that I am a pro fisherman when I caught a 2-inch sunfish. I should be sponsored by Bass Pro. I ran 10 miles to make sure I got enough miles in for the week. It was early in the morning, so it was cool but still humid. It was a really hilly run so it burned everywhere. We got about half way through when some guy in a truck almost made us get off of the road. He said it was for "trucks only." How can a road be for trucks only? But I wish he would have taken us back to our cabin, so the burn would stop. He let us go. When we finished our run, we went back to the cabin, fished, and then played a bunch of games. I taught the family we went on vacation with how to play Pitch, and they schooled me the first time they ever played. I'll say it was pure luck. "I later found out that I am a pro fisherman when I caught a 2-inch sunfish. I should be sponsored by Bass Pro." I only ran four miles just to recover from the long run. It was super easy and perfect conditions. The rest of the day we ate, kayaked, fished, and played soccer. A story about kayaking. I put my paddle on the dock and was undoing my anchor. I looked up and I had drifted halfway across the pond. I had to paddle back using my hands. To everyone else it was hilarious, and I laughed, too, after I got dried off. It was a good week of running and goofing off with the triplets.